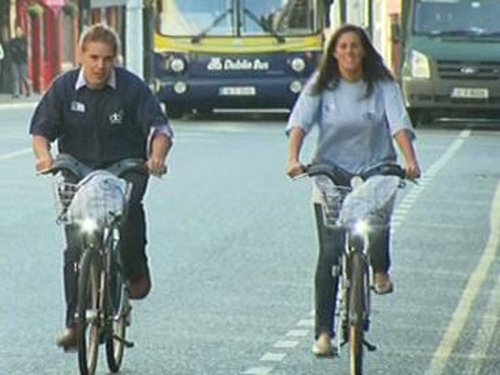 Dublin city councillors has voted to allow more advertising hoardings to pay for an extra 100 bikes for the Dublin bike scheme. The JC Decaux company has provided 795 bike stands in return for advertising space around the city. Councillors were told that the scheme had been a huge success as it had been expected to attract 1,500 members in its first year but over 30,000 have now subscribed. Over 500,000 journeys have been made on the bikes since last September and each bike is being taken out ten times a day on average. The expansion of the scheme will involve four new stations at Smithfield, Eccles Street, Harcourt Terrace and Charlemont Terrace. But it will involve the provision of ten new advertising hoardings. A number of councillors questioned the scheme. with Fianna Fáil Cllr Mary Fitzpatrick asking if there was going to be a value for money audit. Labour's Aodhan O'Riordain said the council was 'prostituting' itself to commercial interests. However, city manager John Tierney said the 15-year deal with JC Decaux had undergone three different investigations. He said it is a good deal compared to that operating in other European cities.